Steps from the Board Walk with plenty of Beach Access. Home is in Grayton Beach next to Grayton Beach State Park. 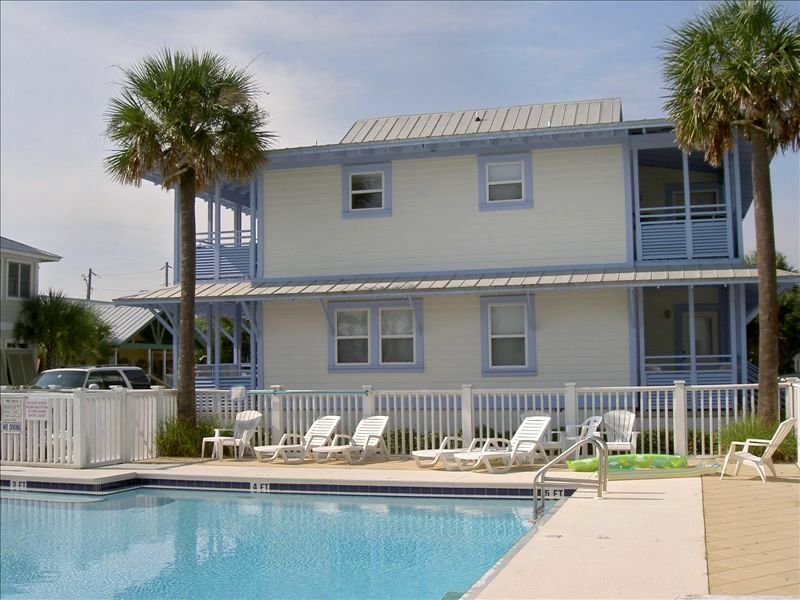 Gulfview is the perfect beach cottage ready for your family get-away in the heart of Grayton Beach. Step back in time on Grayton’s sandy white beaches. It is the 4th house in row from Beach. With a few quick steps you are at the boardwalk. Western lake flows into the beach creating the perfect shallow play area for the little ones to frolic & catch hermit crabs. Enjoy afternoon visits from the local ice cream man during the summer season & holidays. Splash in the pool located right next to the home. The home is in the heart of Grayton Beach, 50 yards from the beach and a 2 minute stroll to the Red Bar. Shopping and Dining is close by. Publix Instacart service available to order groceries prior to arrival. -Additional bike, crib rentals & concierge services are available from local vendors. Gulfview East features 2 bedrooms & 2 ½ baths. Bedroom #1 has a king size bed and private bathroom. Bedroom #2 has a king bed/XL twin bunk and private bathroom. The living room feature a sofa sleeper bed. Hardwood floors are in the living areas & tile floors in the bedrooms. Home is tastefully decorated in a casual beach style. You will fall in love with the homes and location. We love pets, however ask that you please leave our four legged friends at home as we are not able to accommodate. 100 yards from beach. limited views from porches. Across from lake. limited views from East side porch.